Another win for MIT Frosh Lights after the MIT, Rutgers, Coastguard race. Steve Carrol is soaked from being thrown in. 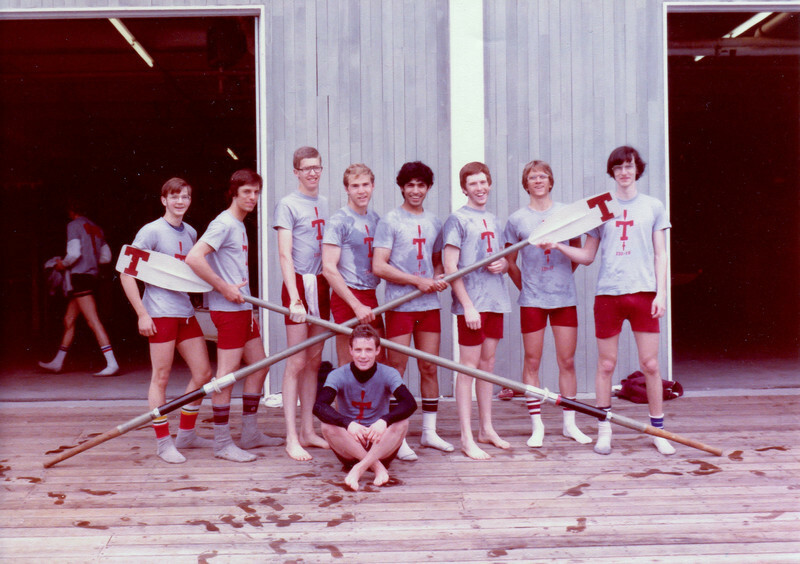 Lto R. Phil Michael, Tony Masterson, Andy Kellen, Craig Trautman, Ahsan Iqbal, Dan Money, Steve Smith, Andy Osler and Steve Carrol in wet clothes.